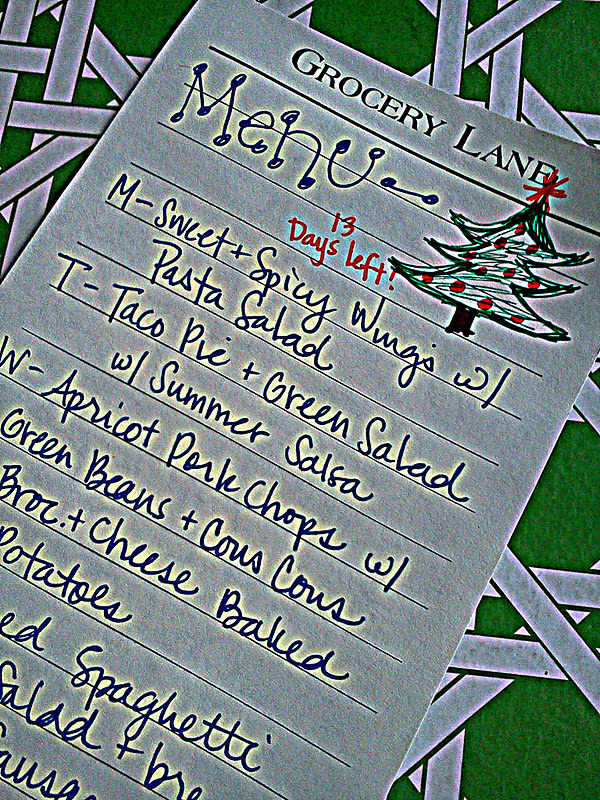 Here is our menu plan for the week. There are some "oldies but goodies" and there will be new recipe postings coming soon. With Christmas quickly approaching, I'm sure many of our nights will be filled with gift shopping, so our menu needed to be pretty easy this week. Enjoy!